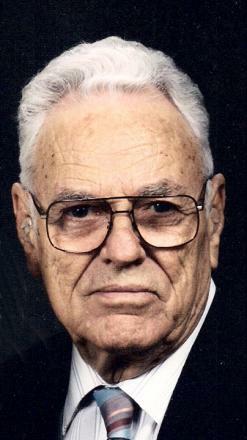 Funeral services for Andrew “Wayne” Leatherwood, 89, of Lubbock and formerly of Lamesa, were held on Friday, August 12, 2011, at 10 a.m., at Lamesa Church of Christ with Mark Hackett, Boyd Beck and Brad Beck officiating. Burial followed in Lamesa Memorial Park under the direction of Branon Funeral Home. Visitation was held on Thursday, August 11, 2011, from 6:00 to 8:00 p.m., at Branon Funeral Home. Wayne passed away on Tuesday, August 9, 2011 in Lubbock, Texas. He was born on February 20, 1922 in Victoria, Texas to Nathaniel and Hazel (Bush) Leatherwood. He came to Dawson County with his family in 1931 from Turkey, Texas and they farmed in Punkin Center. Wayne married Ruth Johnson on September 28, 1950 in Lovington, N.M. He served in the United States Army Air Corp. and was honorably discharged in February of 1946. He was a longtime resident of Lamesa and a member of Second Baptist Church. Wayne was a loving husband and father and he was a very talented woodworker. Survivors include his wife, Ruth Leatherwood of Lubbock; children, Sharon Hawes and husband, Bob, of Lubbock, Judy Hanson and husband, Dan, of Chickasha, Oklahoma, Darla Beck and husband, Boyd, of Jennings, Louisiana, and Hollye Ladd and husband, Steve, of Lubbock; nine grandchildren; and four great-grandchildren. He is preceded in death by his parents, Nathaniel and Hazel Leatherwood; sister, Hazel Beth Leatherwood; and brothers, Bush, Custer and N.B. Leatherwood. The family suggests donations to the Alzheimer’s Association 4687 North Mesa, Suite 200, El Paso, TX 79912 Phone 915.544.1799.